Our purpose is to review the latest anti wrinkle skin care products and help you select the best wrinkle cream for your skin type. We will provide you with unbiased information and reviews of all the anti wrinkle skin care products we have the opportunity to review. Many people worry that they aren't using the right skin care product, or that a competing product might offer superior anti wrinkle characteristics. The goal of this site is to recommend the finest products available, so you can stop wasting your time and money on mediocre products that don't work as well as they should. Why are there so many anti wrinkle skin care products? There are several reasons why there are so many anti wrinkle skin care products. As Americans get older, we begin to see the visible evidence of aging every morning when we look in the mirror. (When I saw my first wrinkle, I had a really bad day.) We don't feel old and therefore we don't want to look old. Fortunately, modern scientists have found that a wide variety of compounds and formulas can help the skin to repair wrinkles, leading to a younger-looking face and healthy, glowing skin. Anti wrinkle cream can turn back the clock, so to speak. There are so many different anti wrinkle skin care products because there are so many effective ingredients that they can be combined in a bewildering variety of combinations. Some formulas, like Avotone, focus on one ingredient. Others, like Complexion MD, incorporate a wide variety of different effective ingredients. The answer is yes, truly effective wrinkle cream works over time to reduce the appearance of wrinkles, but no creams work instantly to completely eliminate wrinkles. If you see advertisements for wrinkle solutions that claim to "cure" wrinkles or "totally eliminate" wrinkles or are "better than surgery", beware- this is a sign that this product is a fake. Other products only work to cover up wrinkles cosmetically, and do nothing to actually decrease wrinkles. In other words, they're basically glorified makeup. If you're looking for a permanent solution, be sure to steer clear of products like these that only contain these ingredients, but no actual wrinkle-fighters. Also, it's important to realize that a truly good anti-wrinkle cream works over time to reduce the appearance of wrinkles, eliminate fine lines, keep skin young, and help keep new wrinkles from forming, but doesn't work instantly to do any of these things. It's important to remember that in today's world of instant gratification, the best things on earth still take time. How old do I have to be to use anti wrinkle cream? Although anti wrinkle cream use is generally associated with middle-aged women, the truth is that wrinkle creams are good for every age group of women (and men!). Thanks to many factors- polluted air, smoking, tanning, our stressful, sleepless schedules, and even the types of food we eat- people are aging even faster than ever, despite the major developments in skincare over the years. An effective skincare regimen should start long before a woman reaches 40. Women in their 20's and 30's should be thinking about maintaining and protecting their skin to make sure it looks and feels good in future years, as well as fighting against minor damage before it becomes worse. Check out our product reviews to see which skincare products are able to do these things the best. I'm not in Hollywood, can a wrinkle or two be that bad? In today's world, the answer is yes. While we agree that it's best to age naturally and gracefully as possible, we do realize that it's more important to "put on your best face", as they say, than it ever has been. Although we're not all movie stars, thanks to the power of social media and the internet, people- including family, friends, and business associates- can see your face from anywhere in the world with a few clicks of the mouse. The unfortunate part of this is that today's high definition photos and videos record and reveal every single wrinkle and fine line more accurately than ever, and more quickly than ever, too- photos from even the smallest event arrive on the internet almost instantaneously. That is why it's always important to look your best every day- and consistent use of an effective wrinkle cream is one of the easiest ways to do that. Why are anti wrinkle skin care products so expensive? 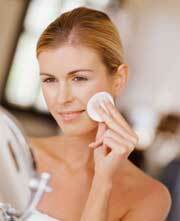 Many factors drive up the cost of anti wrinkle skin care products. First and foremost, the products we review on this site are all premium products. That means they are manufactured with only the purest, finest ingredients. Particularly rare or difficult-to-synthesize ingredients like Argireline or GABA can make a product expensive. Remember, too, when you purchase an anti wrinkle skin care product, you are also paying for the packaging. More elaborate packaging schemes can significantly increase the expense associated with different products. Also, whenever you buy a product, you are in effect underwriting the advertising and marketing campaign for that product. You are paying for TV commercials, magazine ads and whatever other advertising the product manufacturers chose to use. Remember that when you're comparing a product you've never heard of to one you've seen on TV, in the newspaper and in magazines. Why best wrinkle creams? Why not surgery? Now there are more ways to fix your wrinkles surgically than ever before- Botox treatments, filler injections, and facelifts are just some of the ways that surgery can instantly work on wrinkles. But is there any reason people should look for the best wrinkle cream instead of surgery? The simple answer is yes. Just as cosmetic surgeries have made major advances over the past 30 years, so has the technology and research behind wrinkle creams. Now, a good wrinkle cream is more effective than ever, because we know a lot more about what causes wrinkles and what can fight them than ever before. In addition to this, wrinkle creams are non-invasive, easy to use at home, and are a lot more affordable than surgery; all reasons to give a quality wrinkle cream a shot long before considering surgery.